The Industrial Credit and Investment Corporation of India Limited (ICICI) Bank has published a Advertisement for below mentioned Posts 2015. Check below for more details. Educational Qualification : Graduates in any discipline with good academic records from well recognized University / Institute. 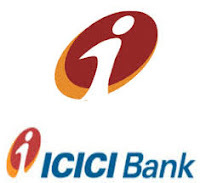 The incumbent would be responsible for achieving the monthly sales targets, assigned to him/her, for various products and services offered by ICICI Bank. Pay Scale: RS. 1 Lac – 2 Lac as per the rules. Selection Process: The selection committee of the organization would conduct the Test / interview for which applicants have to appear on the scheduled date along with the original certificates for verification. No TA / DA will be reimbursed to candidates for appearing in selection process.